An 11-year period, marred by personal loss, injury and scandal ended with another famous Sunday run for Tiger Woods at the 83rd Masters. Four back surgeries, including spinal fusion surgery in 2017, the death of his father and one of sport’s most public breakdowns were for a moment forgotten on the 18th green as Woods took in the rapturous applause of the patrons, before being greeted by his family and closest friends. ‘It’s overwhelming just because of what has transpired,’ Woods said, reflecting on his return to the pinnacle of the sport after nearly giving up two years ago. 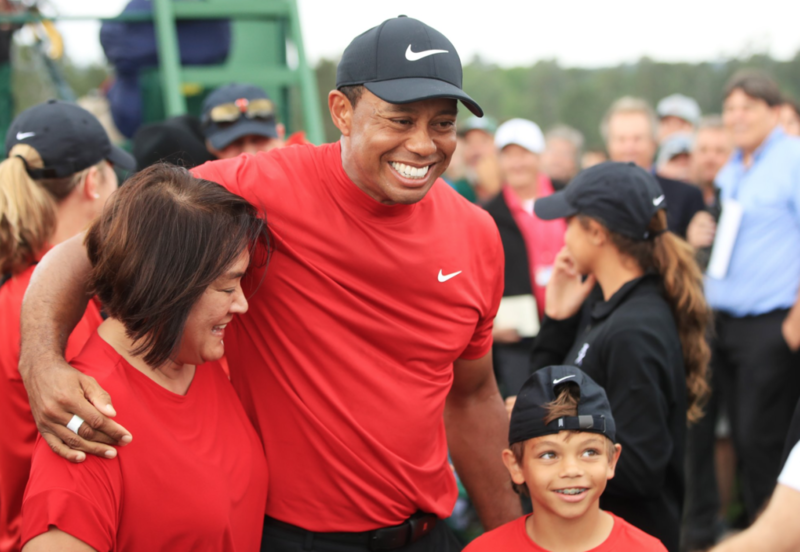 The world watched as Woods embraced his mother Kultida, daughter Sam and son Charlie in the same manner as he did his late father Earl after his first major victory at the 1997 Masters. ‘It has come full circle,’ he said after adding his fifth Green Jacket some 14 years after his last win at Augusta National. ‘This tournament has meant so much to me, and to have everyone here means so much to me and my family. Woods’ final-round 70 ensured a one-shot victory, a rise to No 6 in the latest world rankings and a cheque of $2.07-million. Plus, of course, a fifth Green Jacket.